This book was EXCELLENT! I would definitely recommend it. Was edge of your seat exciting. Narrarator had some funny voices which made it better. I’ll start by saying I am an adult of the vintage variety & I rarely listen to YA novels. 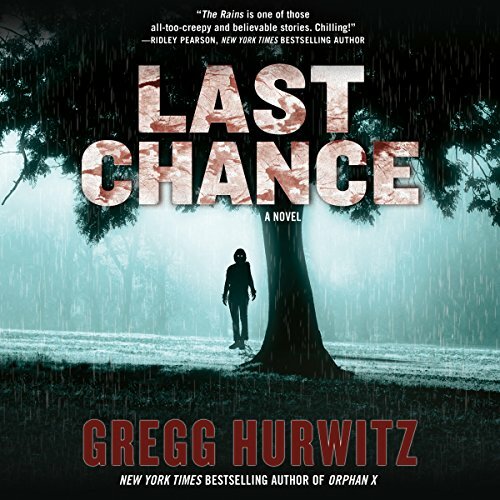 I tried “Last Chance” because the author “Greg Hurwitz is one of my very favourites authors. As always Greg did not disappoint, simply marvellous story featuring the brave & young freedom fighters on an seemingly impossible mission. Additionally Tom Haberkorn did an outstanding job mastering all the different young voices, great work Tom, I super enjoyed it. I suppose the best surprise is when a book thrills/excites & devastates the listener unexpectedly, which this book does. All I can say whether you be young or old don’t miss this book if a new & refreshing twist on a dystopian world gone mad interests you. 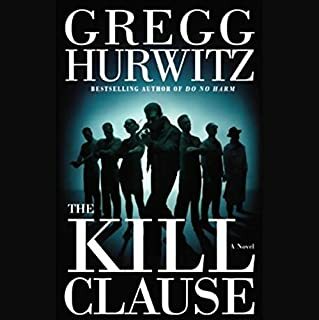 Page turner, and non-stop action. 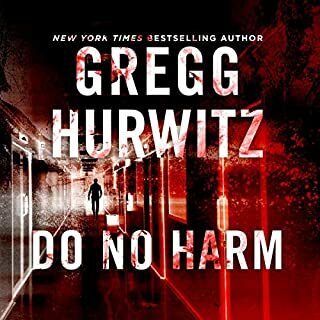 In my best book list for 2017, there are two books are by Gregg Hurwitz. These are books one and two for the Rains series, The Rains and Last Chance. Chilling, exciting and thrilling are a few of the adjectives to describe this action-packed apocalypse series. This was an emotional roller coaster. A small town was invaded by an alien nomadic race that hijacked adults’ minds and bodies changing them into a kid’s worst nightmare and enemy. The adults become the laborer to facilitate the aliens preparing a species to live on earth. That includes using children as incubators for their new species and as a food source. Patrick Rains, Chance Rains, Patrick’s girlfriend, Alex and other town kids are still hiding into what the alien thinks is an abandon high school. While the Rains and Alex are trying to save the planet, tension at the high schools builds as the bullies terrorizes the younger kids and puts them in danger of discovery. Rocky and JoJo are the little kids who were first saved in the story.Their story evolves with them becoming participants instead of bystanders in saving the planet. Last Chance picks up with Chance making his last journal entry before being captured. The kids put themselves at risk trying to gather as much information about the enemy as possible. To do so, they venture beyond the safety of the school for their recon missions. While on such mission they discover, they are the salvation to the planet. Time is of the essence to save planet and the girl whom they both love. Her 18th birthday is approaching and all known options to save her and the planet have been exhausted. Littered, I mean L.I.T.T.E.R.E.D. I cried at every scene with the dogs and the last hour of the book. This book is packed with action, suspense, tension, and horrific scenes. When I think of young adult classics, To Kill a Mocking Bird, Animal Farm, Lord of the Files, The Giver etc. this should be added to that illustrious list. The characters are well drawn, in-depth, and compelling. I was emotionally exhausted at the conclusion. 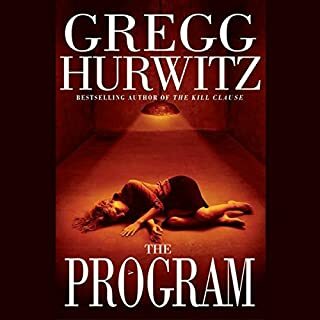 I have been a fan of Hurwitz for some time. 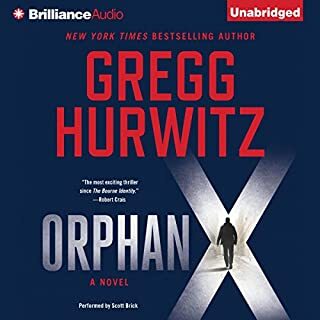 Orphan X is one of my favorites. 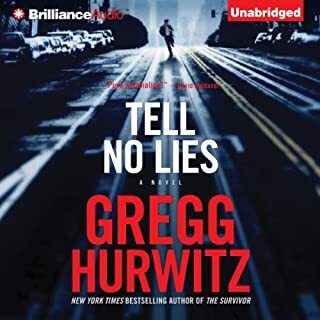 Hurwitz has surpassed himself. I hope there is a book 3. I need to know what happen to the dogs. Chance gave them one job, to take care of their brother. I definitely didn't know where it was going to end, so it kept me turning the pages. Some of the story was a bit redundant in this 2nd book, but then again it is written for teens. There was a lot going on, and with each fight the same situation arose. I'm glad the author held the scientific portion of it; the comparisons of the villains in the book to real- life things helped the story along. I want more of this story! Great story! Would be awesome to hear more about the recovery! Plenty of directions this could go! Excellent. And appropriate for kids. Loved The Rains, and Last Chance was also great. I listened to it before letting my daughter read them. She got The Rains at her school book fair and we were warned it had some “adult” content. I guess they meant the gore and violence. The only things remotely sexual were descriptions of some kisses.... soft lips, warm cheeks. No indication that the kisses were anything more than closed mouth. 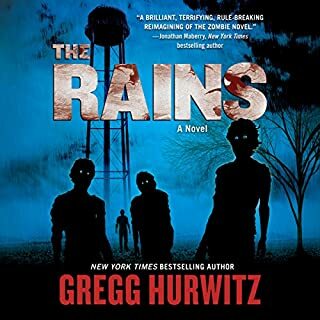 I’m glad my daughter bought The Rains, which led me to recite both books, because I thoroughly enjoyed them.